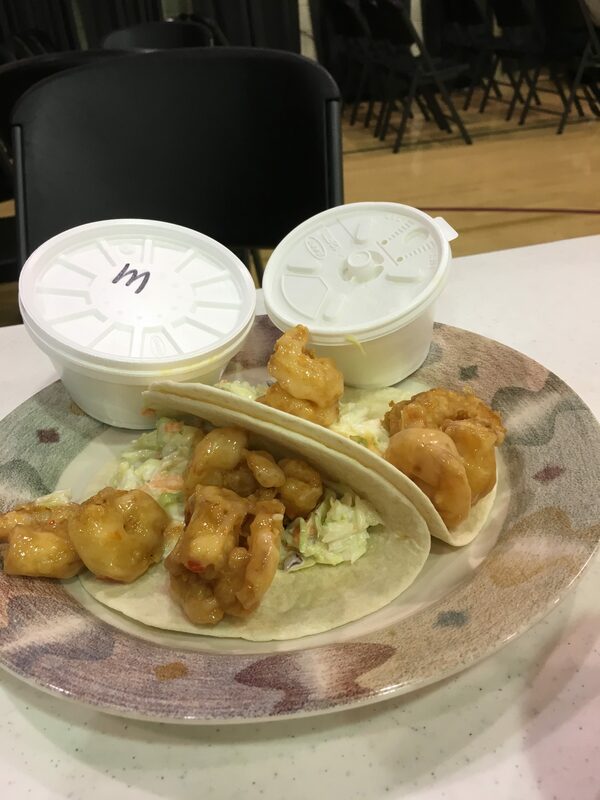 When you go to a church fish fry, there are certain things you expect: a crowd, long lines, lots of friendly chatter and a delicious homemade signature dish. St. Paul’s Episcopal church has all of those things, but they have taken their cooking to the next level—literally everything coming out of the kitchen at this fish fry, from the cocktail sauce to the coleslaw to the breading on the fish, is made from scratch. I got to the front of the line to discover it was cash only (so remember to bring cash!) and that they had also sold out of fish and veggies (so remember to get there early, even though they will be increasing their stock for their next fish fries). At first I thought this was going to be a bummer, but after picking something else and sitting down to eat, I could not have been more pleasantly surprised. For just $10, my fried shrimp dinner included six large shrimp and a nice handful of crispy pub fries—and the homemade dipping sauce for the shrimp was so good that I also used it for the fries. 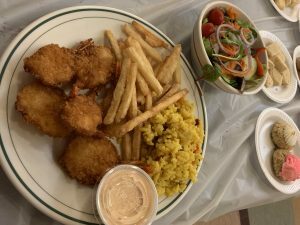 The meal also came with a side of flavorful, fluffy Spanish rice and a colorful salad covered in a delightfully sweet homemade Italian dressing. The best part, however, was the clam chowder. For $5, you get a thick, hearty chowder, and it is filling enough that I could have probably just done with a bowl of it for my meal. 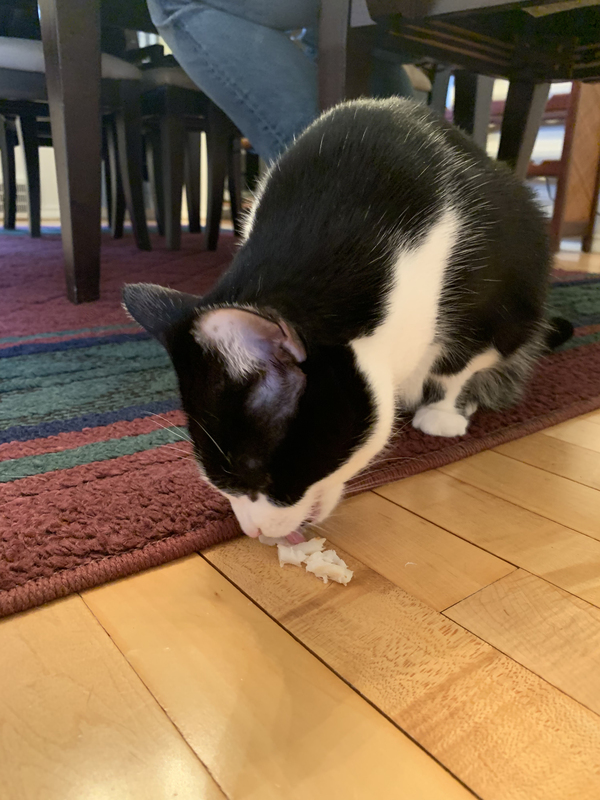 Sozansky, who made time to stop and say hello at all the tables and eventually joined me for my meal, admitted that he has been working on the chowder recipe for years. 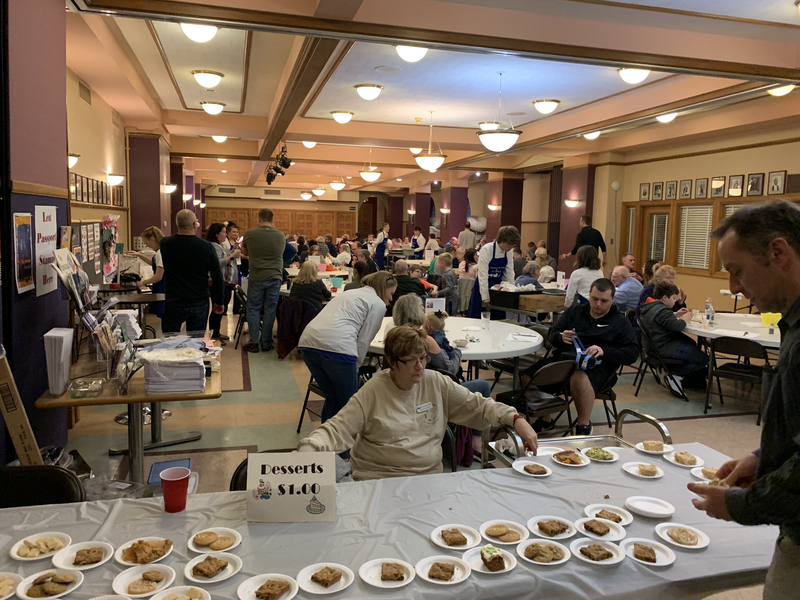 While the food was spectacular, I should also mention that another great reason to visit the St. Paul’s fish fry is for the atmosphere. 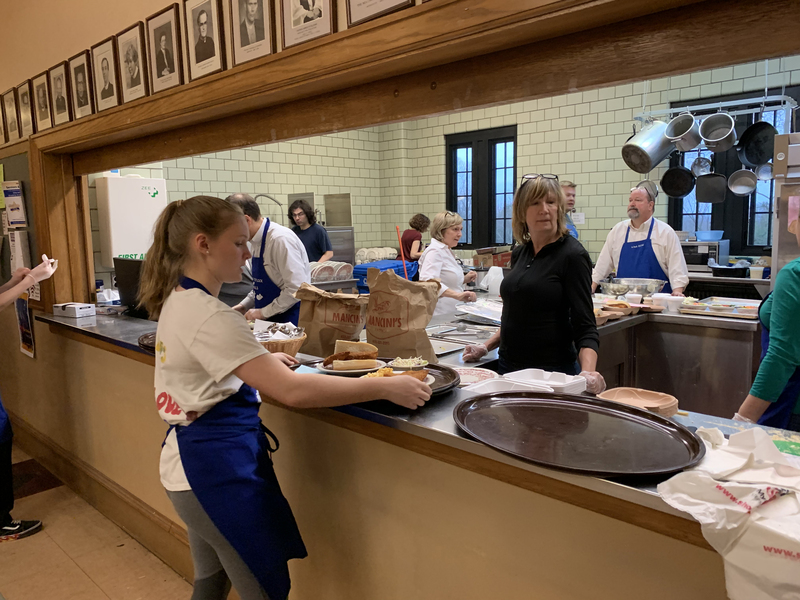 All proceeds from the fish fry go to benefit the church’s youth ministries, so the fish fry is staffed mostly by kids and their parents. But, to me, it seemed like the entire St. Paul’s community had turned out to support the event. The usual din of friendly conversation that you would expect at a fish fry was elevated, as people moved from table to table, greeting friends and strangers alike. In the short amount of time I was there, I met Joanne, who makes the pierogies, Karen, who runs the front of house, Paul, who is responsible for the youth ministry, and about two dozen other folks who were either there to help or were simply there for the food and camaraderie. In the end, I had been having a not-so-great day (thanks, cat), but between the excellent food and the warm welcome, I left St. Paul’s with a happy belly and a smile on my face.